Chargebacks are created to protect customers from fraudsters and dishonest businesses, but they can become a real headache for merchants. It’s estimated that due to chargebacks 50% of online businesses eventually fail. All because of revenue loss, bank fees expenses and reputation damage. Although you can’t just isolate your e-Commerce store from funds recovery system, you’re able to reduce the amount of chargebacks by studying the causes and effectively combating them. One of the most crucial things that helps to reduce chargebacks is to have understandable and transparent terms and conditions. Otherwise, it may increase so called “friendly fraud”. It occurs when a customer places an order online, but some time later simply disputes his charge. Often, it’s the result of complicated and unclear refund policy. After buying a product, customer felt that it didn’t really suit him, but he was simply unaware of how to get a refund. There is even one more deadly threat besides money loss and reputation damage. If merchant continues piling up chargebacks, credit card processors might repeal their ability to process payments of credit cards. Such a situation will probably lead to the logical end of e-business. Undoubtedly, for you, as a merchant, chargeback is not pleasant thing, but have you ever wondered what do your customers think about them? 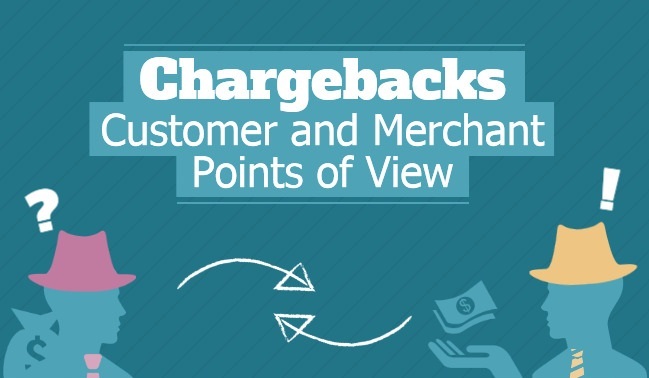 Let’s take a look on infographic from Chargeback.com that tries to investigate how does the chargeback process work from a dualistic point of view - merchant’s and customer’s. Now you’ve seen what chargebacks are from the both sides of barricades. Fight them back by accurately describing items, clarifying terms and condition and confirming customer identity through email. If you have any other methods of chargeback prevention or reduction, please, share with us your experience in the comments below.